The giant stone impresses. It is a rock that you can see far away but seems to be close. And it mixes with the magnificent waves that become tubes. 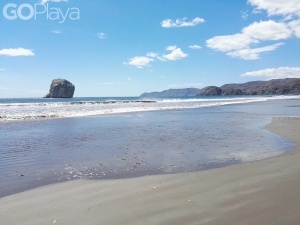 The stone and the waves are the best-known reports of Naranjo beach, nicknamed as “Roca Bruja”, in Santa Rosa National Park. But… what happen if I tell you that I’m not a surfer and still consider this beach as one of my favorite places in Costa Rica. It can sound weird, but the frequent closures due to bad conditions of the Park´s roads, actually make well to this beach. Transforming it into an unknown place, almost like a galaxy that very few have the privilege to know. San Josecito beach in Bahia Drake, discover here. 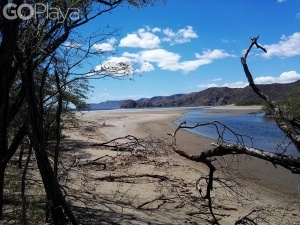 I went into Roca Bruja without knowing that it will offer more than surf. Imagine my surprised face, when the 4×4 vehicle starts to roll on the loose stones and come across a deer. Just like that in front of us, crossing the road like as there was a traffic light in red. And suddenly appears another one, and two more with a brood. 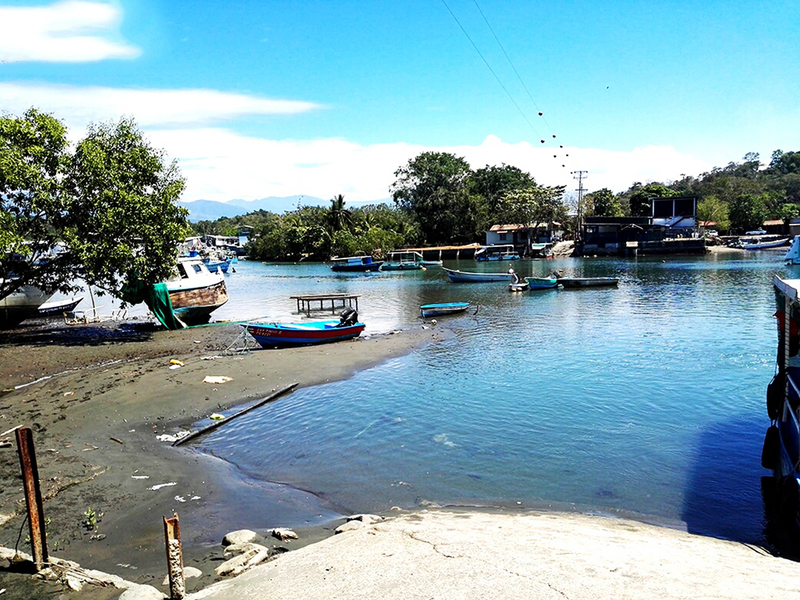 If the beach name was not Roca Bruja, it could be Venado beach (Deer beach). When I got there, a kind ranger begins the explanations of all the things that can be done here. Turns out that in some seasons of the year, tourists’ camp there to enjoy the luminescence event. The beach is lighted at night caused by the phytoplankton. Imagine walking by the beach at night with no flashlight, just lighted by the natural environment. If this doesn’t amaze you, maybe the giant leatherback turtles that arrive to spawn here at night can. Some of them look like a beetle car by their size. Giants and walking slow by the beach, watched by the curious eyes of tourist that enjoy this spectacle. After talking with the ranger, you will need to walk through a trail of almost a mile to get to the beach. It is a path surrounded by dry trees, dozens (maybe hundreds) of black spiny-tailed iguanas that stay over the fallen trees… and the deer, yes, again, there they are. Gemelas beach in Manuel Antonio, discover here. The journey is short. And then, you´ll find yourself at the beach. Huge, with the giant rock and trees that give you shade at the shore. It is really astonishing. It is a spot that mixes different shades of grey sand, the color is different from any other beach. I might say that is a different beauty, wild. Suddenly everything seems so small, like we were ants. Huge landscape of mountains that cover both sides behind us, and the endless beach (I wasn’t able to walk the entire beach BTW) and perfect waves crashing against the shore in front of us. Until recently it was informed that the Park was closed because of road damages caused by storms. Soon they will announce the re-opening. For now, I´m preparing my bags.